Under Governor Abbott’s leadership, Texas again leads the nation in job creation as a record number of Texans are employed even as the state’s population continues its record growth. And Governor Abbott’s achievements from the most recently completed legislative session will help forge an even broader path to prosperity for more Texas families. Building on the four pillars of safety and security, education, economic advancement and the preservation of liberty, he proudly signed legislation banning sanctuary cities, reforming the child protective system, investing in early and higher education, reining in regulatory regimes that strangle innovation, and ensuring that unborn children are treated with the basic dignity human life demands. 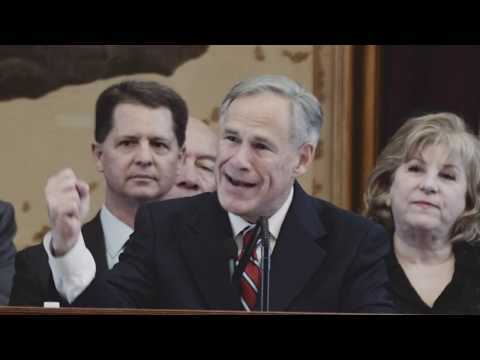 Prior to his election in 2014, Greg Abbott was the 50th and longest-serving Attorney General of Texas. As the state’s chief law enforcement official, he earned a national reputation for defending religious liberty and for protecting Texas communities and children. He also previously served as a Justice on the Texas Supreme Court and as a State District Judge in Harris County. 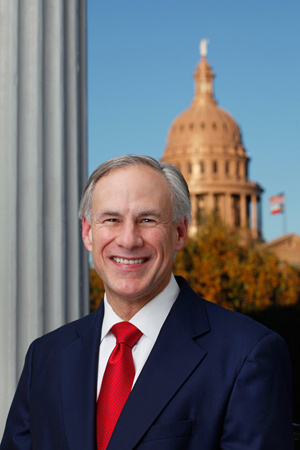 A native Texan and avid sportsman and hunter, Governor Abbott was born in Wichita Falls and raised in Duncanville. After graduating from The University of Texas at Austin with a BBA in finance, he earned a law degree from Vanderbilt University Law School. Shortly after graduating from law school, he was partially paralyzed by a falling tree while jogging.